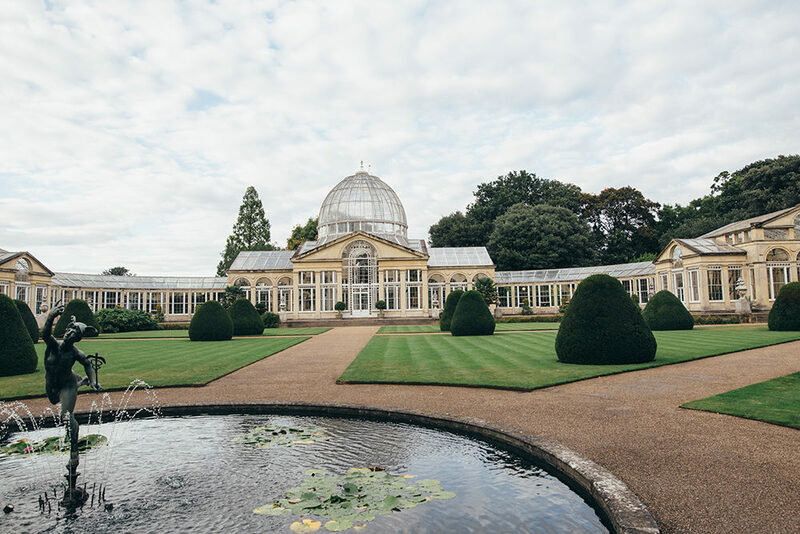 It’s hard to believe Syon Park is just a few miles from Charing Cross in London. Its historic house, charming gardens and orangery feel like you are in a secluded part of the countryside. If you’ve never seen it before prepare to fall head over heels in love. 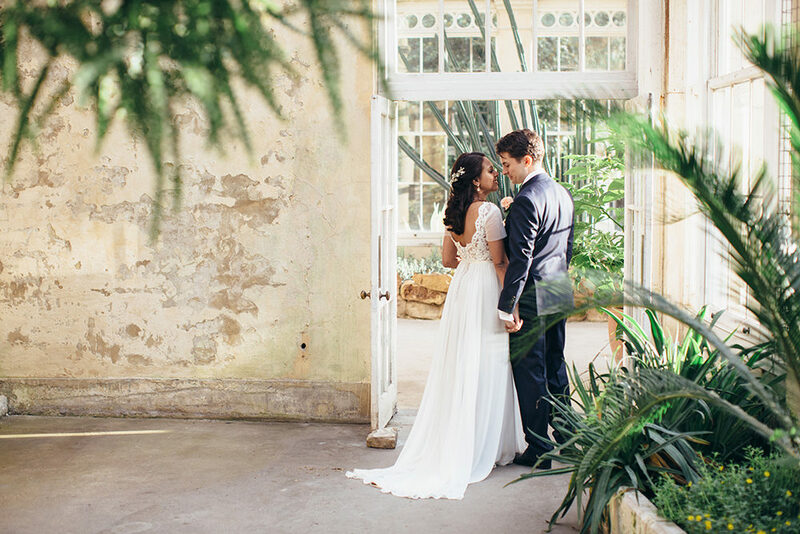 Dhara & Guy’s sartorial style suit the venue perfectly, with Dhara choosing a timeless dress from Etsy and Guy wearing a tailored suit from Savile Row. 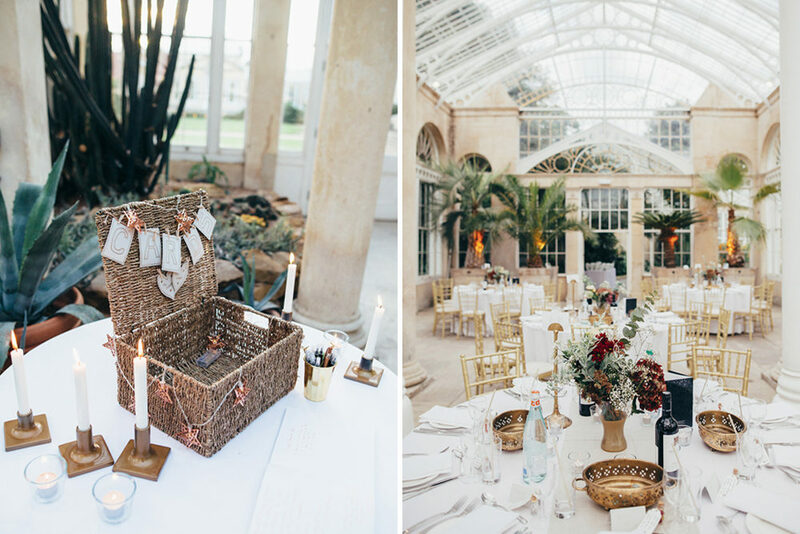 All the Autumnal blooms add to the botanical beauty of the reception as do the wicker card box and elegant gold table plan details. It’s been a while since we’ve seen the lovely Hayley Savage Photography grace our pages, but we’re SO pleased she shared this beauty of a day with us as it and her gorgeous photography has literally blown our minds. Enjoy. Hannah is a simply stunning bride in her ‘Leonela’ Pronovias tulle wedding dress, I LOVE the appliqué bateau neckline, it’s so pretty and feminine. 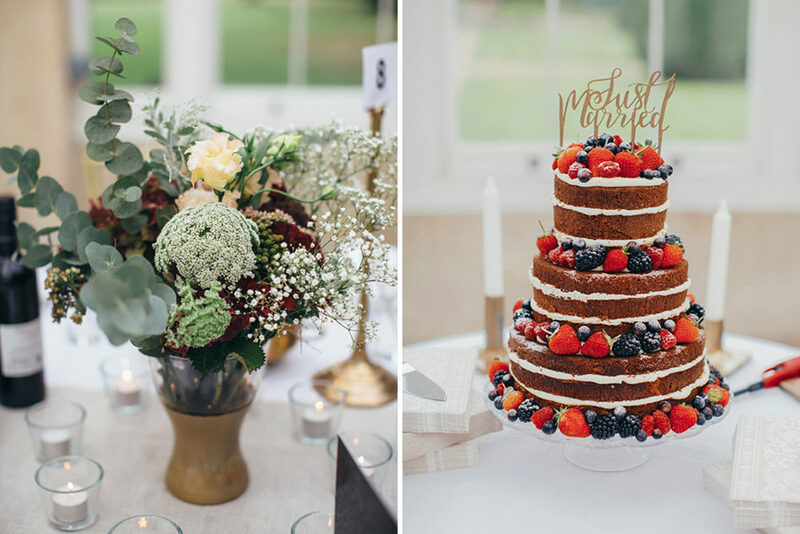 Hannah is also a super helpful bride too; she’s listed all her beautiful blooms for you so you can literally pop into your florist and say “I’ll have that please!” What gorgeous blooms they are too, lovely soft pink & white rose bouquets and did you see that hydrangea flower arch over the church? not forgetting the flower crown – STUNNING! 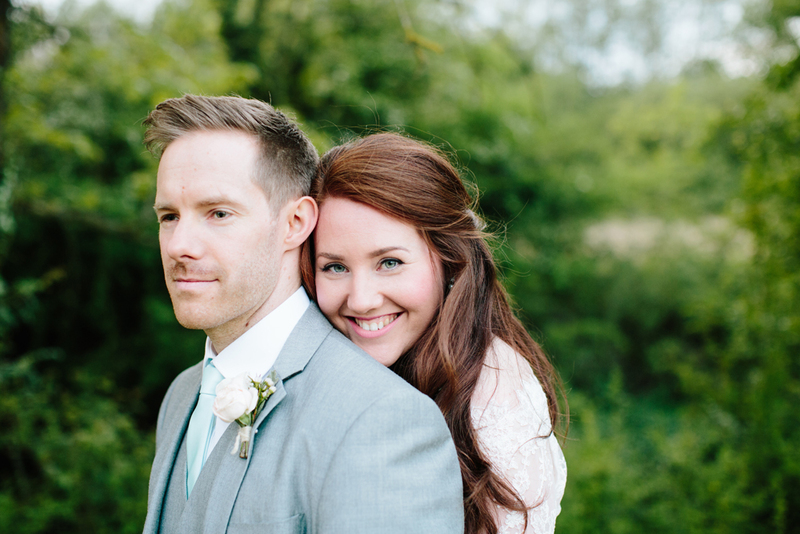 This is such a classic, romantic wedding with a gorgeous pale grey & pink colour scheme and so many pretty details. Did we mention the blooms….?! We literally LOVE it & we know you will too! 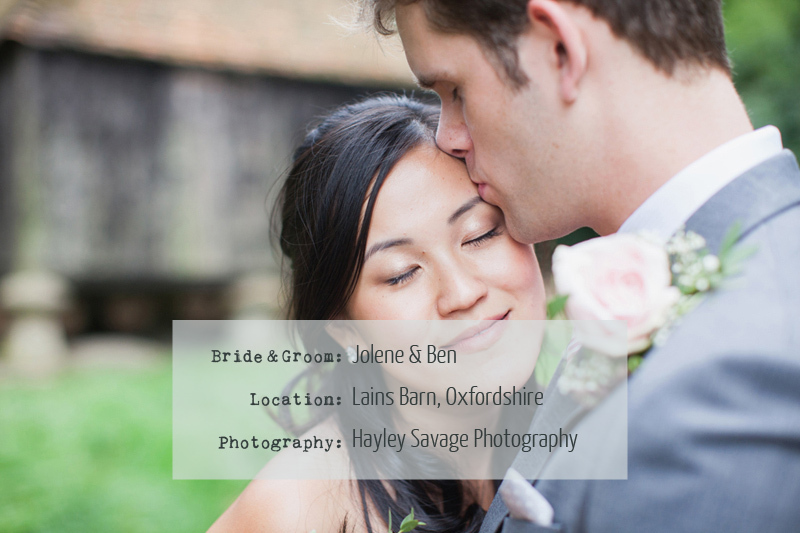 Rachel and Ben married at Douai Abbey in Upper Woolhampton. If you are having your dad walk you down the aisle on your big day it will be one of the moments you remember forever. Just imagine how super lovely it would be for your Dad to walk you down the aisle and then actually marry you?! How amazing is that? That is exactly the case in Rachel and Ben’s wedding. 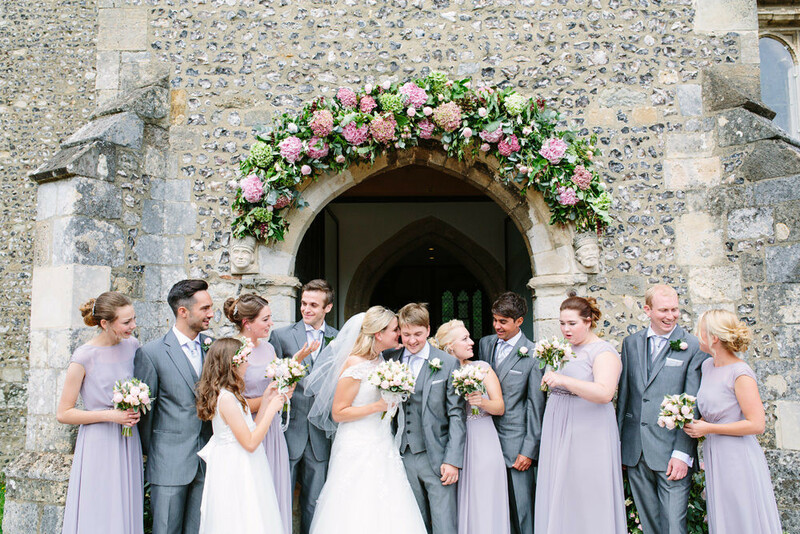 Their reception was full of amazing blooms so if you are a flower lover and a liker of pastel shades, this is the wedding for you. Vintage Elegance For A True Taste Of Georgian Bath. This morning’s wedding definitely brings a touch of class to your Friday morning. Bath is such an elegant city – it’s just quintessential Georgian England and Louise & Sam’s wedding embraces it whole heartedly. Firstly, the subtle dusky pink and sage green colour scheme works in perfect harmony with their stunning venue of choice – The Assembly Rooms. And the blooms from Flowers by Passion would be worthy of any Georgian High Tea. Then there’s Louise herself channeling her inner Jane Austen heroine in Baroque by Suzanne Neville. 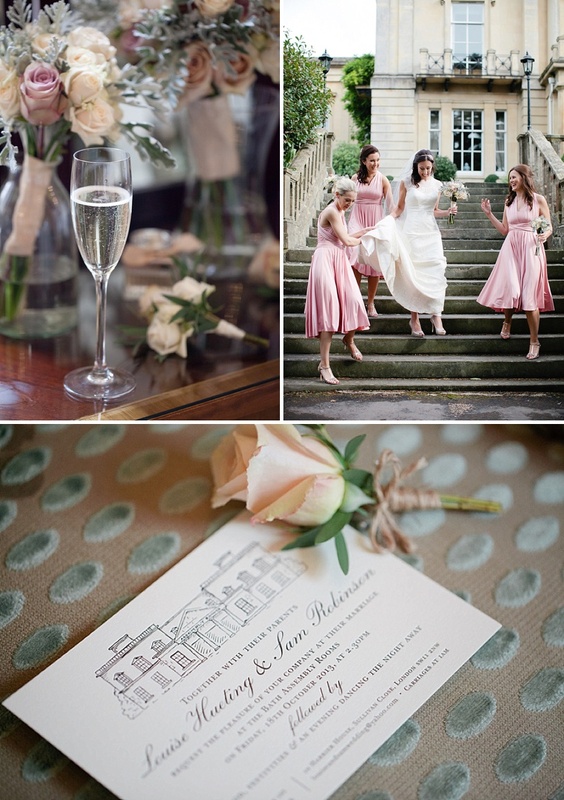 The TwoBirds Bridesmaids dresses even make a nod to Bath’s Roman heritage in their grecian design! 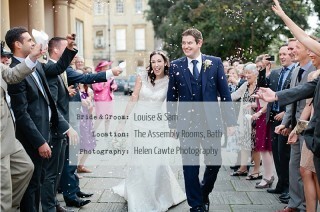 Not only is this wedding a testament to the beautiful city of Bath – but also to our Love Lust List supplier directory. 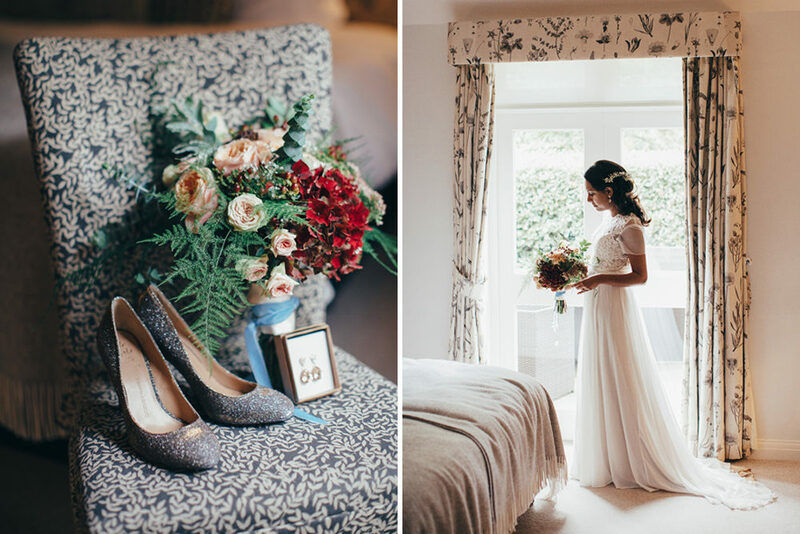 Louise used RMW to plan her big day and so we’re absolutely thrilled to be sharing it, we always love seeing the work of our recommended suppliers. And once again, they’ve all done a great job! Lovers In The London Sunshine. 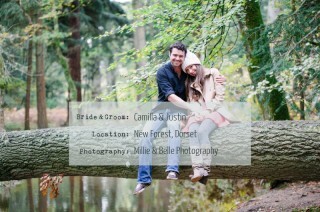 We’re back in London this afternoon with an gorgeous engagement shoot from Hayley Savage Photography. 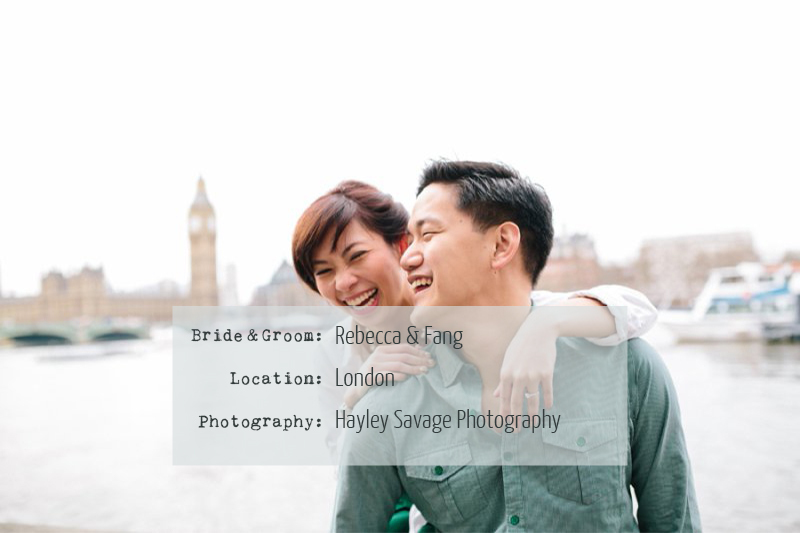 Rebecca and Fang are a truly well travelled couple and having lived in Melbourne and travelled across Europe, they decided on their home, London, as the backdrop to their shoot. And I have to say it looks lovely, very smart and grand – a city to be proud of. Rebecca and Fang have certainly dressed for the occasion too. I have no doubt that you’ll be coveting some of Rebecca’s wardrobe after you’ve looked at these images. White Lace And Blooms In An English Country Garden. If there’s one thing I admire then it’s a determined bride and I think it’s safe to say that the lovely Jolene is determined alright. So enamoured was she with her exquisite Stephanie Allin dress that she spent hours on the phone trying to track down a sample frock so that she could stay within her wedding budget. That’s dedication right there folks. Ben and Jolene’s big day is beautiful. Honestly it’s like diving into a giant vat of candy-coloured ice-cream. 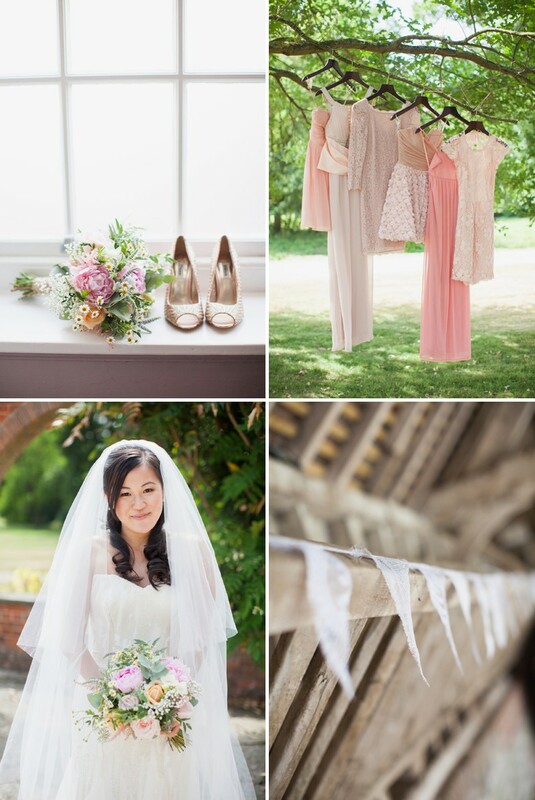 From the white lace bunting lovingly crafted by Ben’s mum to the peachy pink bridesmaid dresses and handpicked aisle markers, it’s clear that everything was a labour of love for this sweet couple. And the flowers? All of them were grown and arranged by Ben’s mum. What a superstar! Lastly if you’ve fallen in love with Jolene’s beautiful gown then today’s your lucky day because Jolene has decided to share the love and has actually listed it for sale on our Undress platform. You can check it out here. Faith And Trust And A Little Bit Of Pixie Dust. 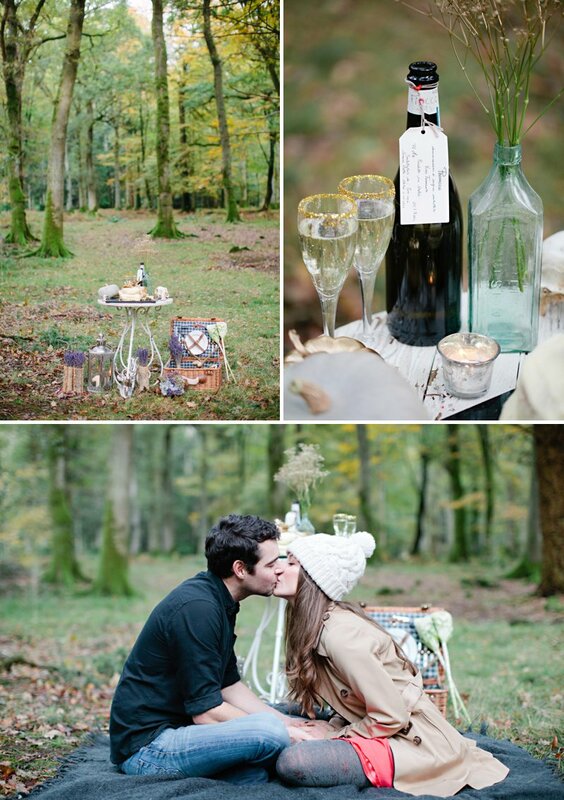 If there’s one thing I love more than the woods then it’s a wholesome, organic and glorious wedding day set against the backdrop of the aforementioned sylvan goods. 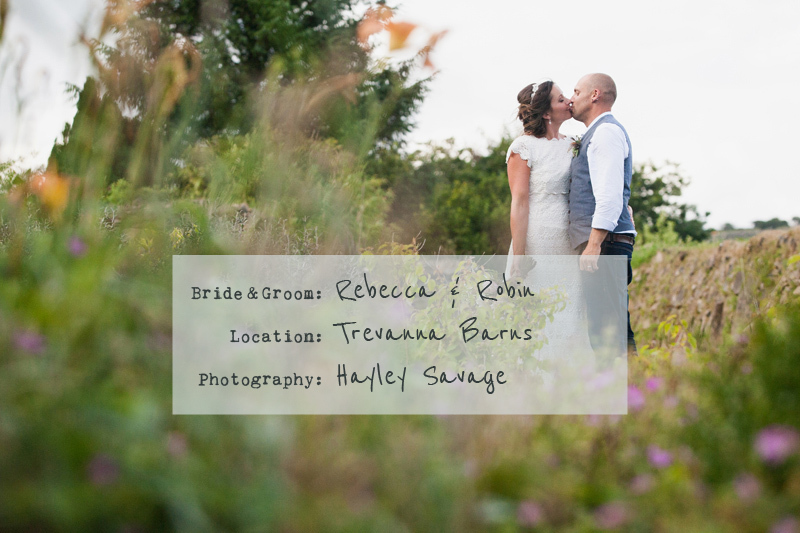 Rebecca and Robin said ‘I Do’ at the beautiful Trevenna Barns in Cornwall amongst dappled glades in Peter Pan style. Yes actual Peter Pan and Wendy style. Well less of the saccharine Disney version and more of the ‘woodsy, ethereal and magical’ type of theming as Rebecca so eloquently puts it. Filled to the brim with luscious detail, feathers and well-thumbed books, flags and pinecones and one heck of a beautiful headpiece. Oh and then there’s the portrait shoots in amidst fronds of fern, the flipping fantastic tail coat sported by one of Rebecca’s brothers and Rebecca’s dreamy bouquet. I promise you’ll love it ALL. 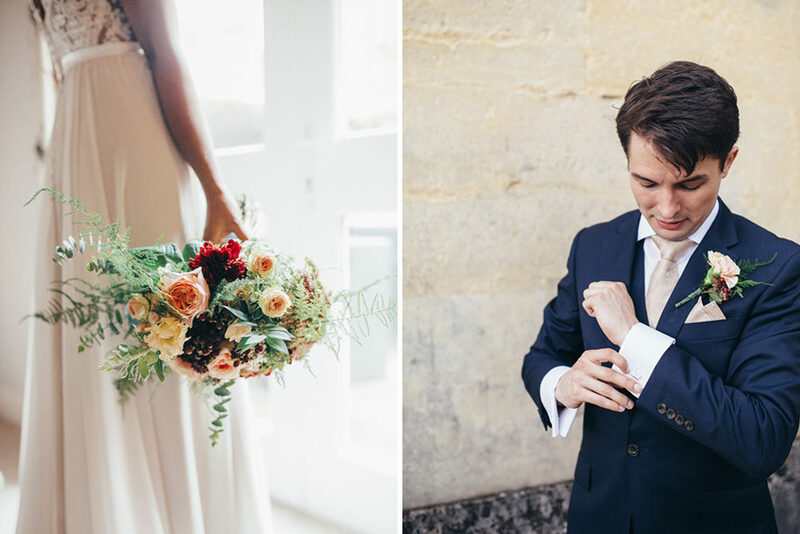 Decadent, luxurious and hopelessly romantic, Chloe and Steven’s wedding held at Syon Park last September makes my heart reverberate loudly against my ribcage. We’re talking bass thumping, heart-pounding thuds. Honestly folks I LOVE this wedding. 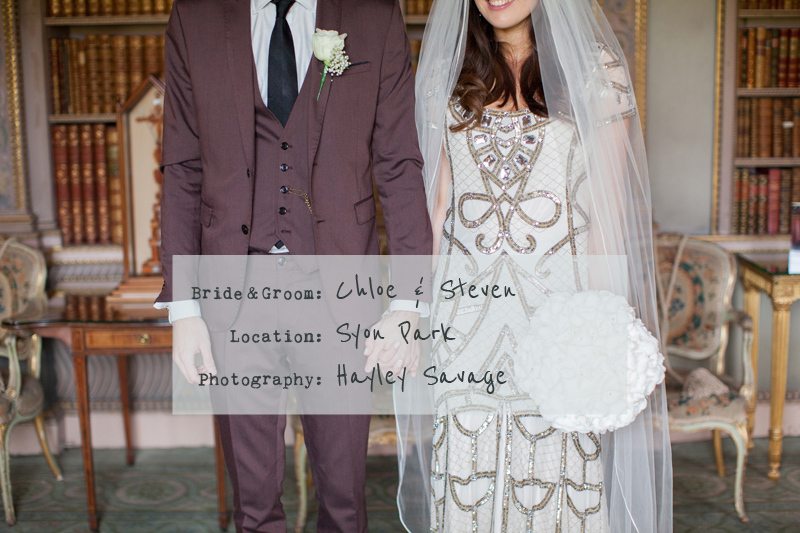 Chloe is the most beautiful bride and Steven is one heck of a dashing groom. Just wait until you see Chloe’s dress too. It is…To. Die. For. 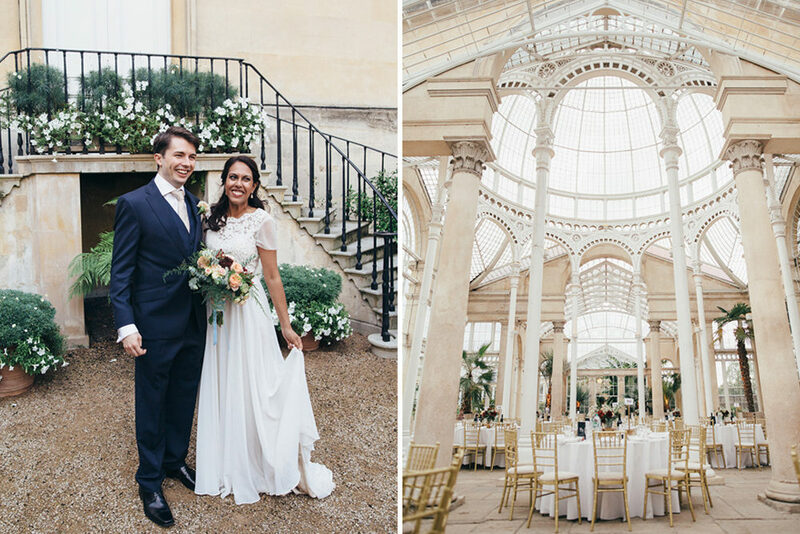 Chloe and Steven said their vows at Syon House and followed them up with a glorious reception hosted in The Great Conservatory. 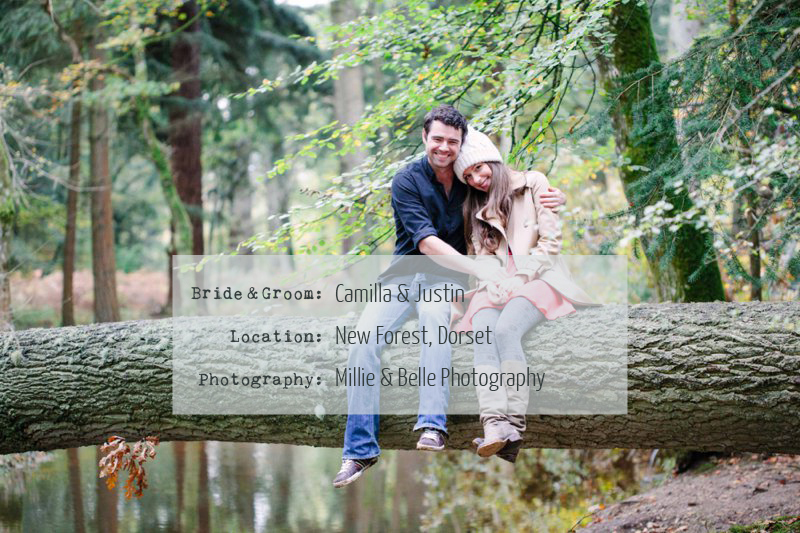 Interestingly Chloe discovered her venue by looking through some photos of a old schoolfriend’s wedding before she and Steven were even engaged. 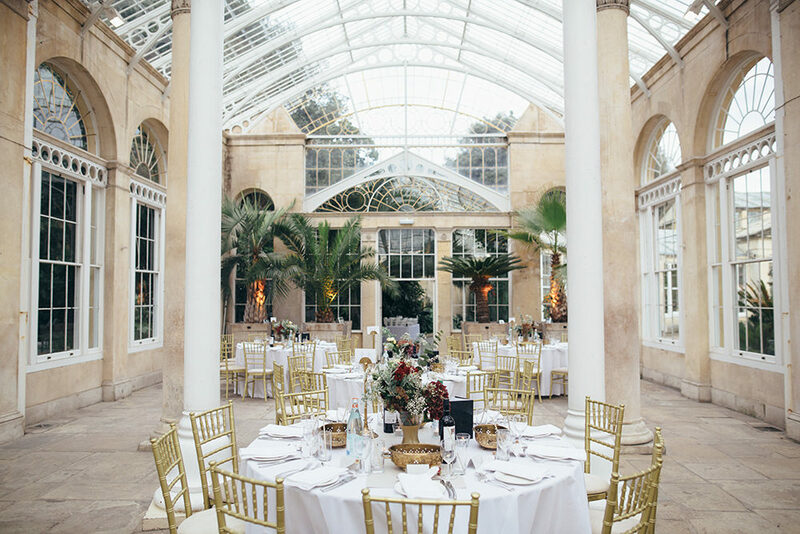 She found herself blown away by the Great Conservatory; an amazing glass Victorian construction which inspired Joseph Paxton’s designs for the Crystal Palace. And folks, impressive doesn’t even begin to cover it. Chloe The Bride: I love shopping but I found the experience of shopping for my wedding dress disappointing. I should have felt like I was the most beautiful girl in the world when I was in my dress but that feeling never came and neither did my excitement. As the wedding was planned in such a short amount of time it was important to make a decision quickly about whether I wanted a traditional dress or not. In the end I decided to hunt for a dress which wasn’t actually a wedding dress but more of a gown. We ventured up to Bicester Village to investigate what they had to offer. I’ve adored Alice Temperley dresses for as long as I can remember so it was the first shop that we headed to. A wonderful sales assistant listened to me as I described what I was looking for before returning with about ten gorgeous dresses to try on. As soon as I saw my dress on the hanger I got that feeling, that excitement, that ‘this is it’ moment. A beautiful, bead, sequin and diamanté-embellished pale-pink sheer tulle and silk gown, with off-white embroidery, scoop neck, cap sleeves, front slit, longer at back, fully lined in silk. It was exquisite and had the very un-bridal name Poison which made me smile. My inner fashionista squealed with joy. I chose to wear a simple waltz length veil which i brought at Anya Bridal, Droxford. As my dress wasn’t a traditional wedding gown I wanted to wear a veil to make sure I felt like a bride and was so happy I did. I work for Swarovski so of course there was no question where I would buy my wedding jewellery from. As my dress was so heavily embellished, I kept my accessories to a minimum. I chose the simple New York bangle in Rose Gold and then the statement Sissy earrings which have a vintage feel and complimented the detailing on my dress perfectly. The night before the wedding my Nan presented me with a beautiful diamond and sapphire ring which belonged to my great-grandmother Nelly to wear for the day. This became my something borrowed and my something blue. I always thought that for my wedding day I would treat myself to a beautiful pair of Louboutins but on a random shopping trip with Steve I found some stunning suede peep top platforms in Zara. They could have been made for my dress – all mink suede with jewelled detailing around the peep toe. My lovely friend Lacey Hawkins works for Percy & Reed and I was thrilled when she agreed to do my hair for my big day. I did originally think that I would just wear my hair down as it was more me but I soon got swept up in vintage up dos and boho plaits on Pinterest. After spending an evening in the salon trialling various styles we both agreed that they just weren’t right. So I went back to wearing my hair down and I was so glad that I did. Lacey worked her magic and gave me this amazing voluminous hair with a slight curl. I felt completely like me. I had always planned to apply my own make up as previous experiences with make-up artists have always left me feeling bit clownish. So I splurged on some fab beauty buys and didn’t give it a second thought. Then I met Alice Oliver through a vintage hair and makeup session that my sisters organised on my hen do. She listened to what everyone wanted and then added in her own touches making everyone look beautiful. I just wanted to look like me at my best so we went for soft bronze colours on the eyes and made it all about the lashes. I couldn’t have been more pleased with the results. My sisters Alice and Maisie were always going to be my bridesmaids. I was happy to let the girls take the lead on the dress front as I wanted them both to feel comfortable. We decided that gold or bronze would be the perfect colour for them. We finally found a beautiful antique gold cocktail dress from Coast and paired it with sparkly shoes from Ted Baker and some earrings from Swarovski and the same rose gold bangle that I wore, tying us all together. Our daughter Iris was our flower girl. She wore a floral printed silk dress from Monsoon with a little fur bolero to keep her warm. She looked so pretty walking down the aisle with my sister Maisie. I was disheartened after meeting with several florists based in the city. None of them really took on board my ideas and the quotes made my eyes water. I decided to look closer to home with the idea that Steve and his groomsmen could pick the flowers up en route to the venue the morning of the wedding. Craziness some would say! I finally found Jenny at Arcade Flowers in Ringwood. As soon as I met her I knew I had found my florist. She was enthusiastic about my seasonal choice of blooms – hydrangeas – and listened to all my ideas. My bouquet was hand tied white hydrangea heads whilst the bridesmaids carried hand-tied bouquet of white gypsophila and Iris clutched a single ivory hydrangea head. 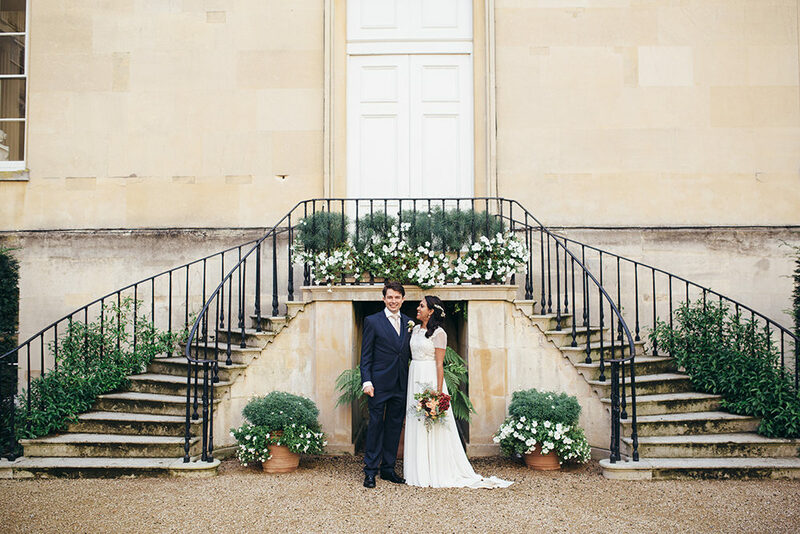 As Syon House is so beautiful it didn’t need any decoration (a plus for our budget!). Jenny made striking arrangements with white hydrangeas and gladioli that were situated on either side of the aisle which we used later in the Grand Conservatory. I created the table centrepieces myself. We cemented branches in pots and strung Swarovski Crystal rain from them as well as small heart decorations and hydrangea heads. They doubled up as wishing trees too as we asked guests to write us messages of advice on luggage tags and hang them on the trees. Other tables had tall glass vases with a simple hydrangea stem in them. I asked Jenny to make me balls of fresh ivory carnations to dot around the tables as an extra touch. Jenny did an amazing job and I am so glad that we didn’t go with one of the London florists out of convenience. Steve loves his clothes and is quite particular about them so finding the perfect wedding suit was not going to be an easy task. He brought a burgundy two-piece suit from Reiss but really had his heart set on a three-piece. When he tried it on at home, I mentioned that it was actually pretty much the same as a three piece sample suit he had brought home from his work – Selected Homme – a few months before. He’d never worn the sample suit as it was too big for him but Steve took it to a tailor in London who altered it to fit him perfectly. He teamed this with a white shirt from Ted Baker with a black, narrow tie and burgundy Chelsea boots from Office. Steve’s best man and groomsmen all wore suits from Selected Homme courtesy of Steve’s work. They wore a classic slim cut black suit with a white shirt. We brought them all a burgundy tie from Paul Smith which had tiny white polka dot hearts on it to finish the look. Both my Dad and Steve’s Step-dad wore the same tie too. The best man had a black version of the tie to match Steve’s. 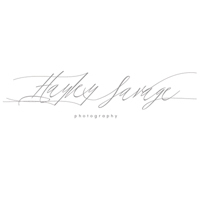 We were recommended our amazing photographer Hayley Savage by two of our friends who couldn’t praise her enough. After looking at her website and speaking to her via email we knew she was the lady for the job. Her photos are so natural and capture the story of the day which is exactly what we wanted. She went above and beyond on the day and didn’t stop snapping away even after the 1st dance had ended which was her cue to go home. She even came early and took some pre shots of us before the ceremony. She was just fantastic and our photos are everything we imagined and more. I would highly recommend her to any bride. From our scratch-card save the dates to the invites and order of service, I designed and made all our stationery myself. I’m a creative type so it was important to me to do it myself and it helped with our budget too. We wanted our seating plan to be a little bit different. We collected lots of antique keys that were then hung in box frames with a number hanging from them on black ribbon. Guests’ names were printed above each key and they found their table by looking for their key. It was like a old fashioned hotel reception. This also turned into another favour for the guests as they could keep the keys; by the end of the night our guests had already used them as key-rings, bag charms, pendants or hanging ornaments. We hadn’t planned to provide favours. Then on an episode of Don’t Tell the Bride we saw favours based on flower seeds which gave us the idea of creating favours that were personal to us and incorporated our daughter Iris. We brought some small papier-mâché boxes and I designed labels saying ‘Let Love Grow’. We then placed an Iris bulb in each one on some shredded paper. We loved the idea that our guests could take them home and plant them and have a piece of our wedding grow in their garden. Originally Steve and I weren’t going to bother with a cake, neither of us was that fussed about having one and we already had some fantastic puddings. However my Mum convinced us to have one in the end and so we asked my brother-in-law’s sister Rozzy to make the cake for us. We chose a three tier oversized cake design with each layer decorated differently but all in cream. The bottom tier was a chocolate sponge with a white chocolate and raspberry buttercream filling and the top two tiers were lemon sponge with an Italian meringue buttercream filling. Oh my gosh they were divine and the cake looked amazing. Music was really important to us from the outset and we decided from day one that we wanted live music. For the ceremony we chose sisters Catherine and Alex Kolubayev. They sang to our guests alongside an acoustic guitar as they arrived and also whilst we signed the register. They also accompanied my sister Maisie when she sang Songbird by Ava Cassidy during part of the ceremony. It was so beautiful. The girls also sang me down the aisle too; as a tribute to our little girl I walked down the aisle to Iris by the Goo Goo Dolls. For the evening we had the absolutely amazing Freddie and the Freeloaders play. The band plays vintage soul, jazz and modern classics. We loved that they have brass players and every one of our guests danced from the moment they started until the moment the last song was sung. What I loved about our day was that it really reflected who we are. We did nothing just for the sake of doing it or because it was expected and made sure everything was personal to us as a couple but also as a family. That is exactly what the day was. My advice to other brides is to make the day how you want it to be and not what you think it should be. At the end of the day all that matters is that you are marrying the person you love, surrounded by the people you love and that you don’t stop smiling the whole day. Of course you did. Tell me, which was your favourite part? I always love to read our brides’ words of wisdom. In fact I often find myself nodding along in agreement like one of those dogs you find on the back shelf of a car staring at you as you wait in traffic. Anyway I digress…the point I’m trying to make is that Chloe’s sage advice is something to bear in mind. Your day should be about you as a couple; if you hold firm to that mantra then you won’t stop smiling all day long.